Professor Girolamo Segato of Florence, Italy invented a process to preserve human remains in a state of rock-hard petrification, but paranoia and fear destroyed his research, leaving just a small number of grim relics and a piece of morbidly-accented furniture as proof of his miraculous process. Born in 1792, Segato took an early interest in science and chemistry which inspired and defined him throughout his life. His focus on the process of petrification began after he visited Egypt at the age of 26 and was fascinated by the country's mummies. Upon returning to Europe and having a falling out with his partner, Segato struck out on his own and began developing new methods of mummification. After testing the waters of animal preservation, the pioneering scientist soon created his unique method of human preservation which involved a mysterious process of mineralization that turned the remains as hard as marble. Reaction to his work was mixed. While some marveled at the singular transformation Segato was able to work upon corpses, others associated his work with unnatural Egyptian mysticism. After someone broke into his laboratory and seemed to have gone through his papers, Segato began to fear his work being stolen, and eventually destroyed all of his research and notes. When Segato died in 1836, he took the secret of his process with him. He was buried in a Florence churchyard with the epitaph, "Here lies Girolamo Segato—who would be intact, petrified, if the secret of his art had not died with him." Today the only remaining proof of his work consists of some rather disturbing relics. Held by the Anatomical Museum of the University of Florence, Segato's work survives in the form of such separated body parts as a female's severed head and a separate female chest, both turned to eternal stone. 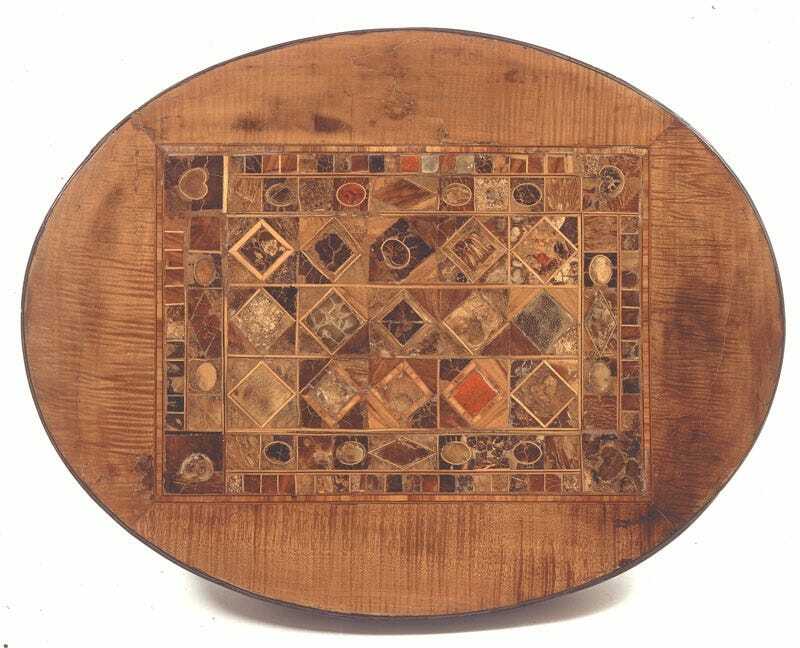 There is also the Segato Table which is a large wooden oval with what appears to be inlaid tiles, but are actually petrified pieces of bone, muscle, and guts. Eric Grundhauser is a Senior Editor at Atlas Obscura, the leading guide to the world's wondrous and curious places. Follow us on Twitter and Facebook!